Written by Montse Ferrer, the article starts by analysing the current situation in the West Bank, East Jerusalem and Gaza, and discusses the timeframe and challenges related to the preliminary examination of the situation in Palestine by the Office of the Prosecutor (OTP) of the International Criminal Court (ICC). The article ends by highlighting key 2017 developments and parties to the conflict. 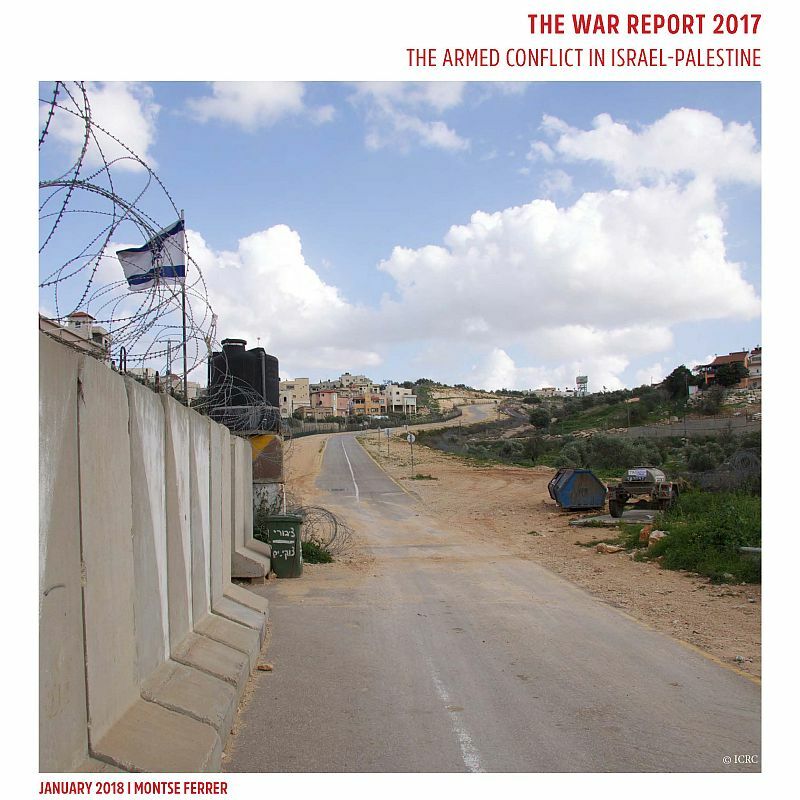 This publication will form part, along with other analysis of conflict situations, of the War Report 2017 which will be published in Spring 2018. President Trump’s decision to recognize Jerusalem as the capital of Israel happens in a context where efforts to expand settlements in Palestinian-owned land have continued, particularly in East Jerusalem, leading to an increase in evictions of Palestinian families. As explained in the article, the long-term impact of Trump’s decision to recognize Jerusalem as the capital of Israel, along with its legal and diplomatic consequences are not yet clear. After 10 years of blockade of the Gaza strip by Israel and Egypt, whose effects have been catastrophic for the population, Fatah and Hamas signed on 11 October 2017 a reconciliation agreement in which Hamas agreed to transfer administrative control of Gaza to the Palestinian Authority (PA), including the Rafah border with Egypt. In return, the PA will lift its sanctions, easing Gaza’s economic blockade. As this is not the first attempt at reunification, the article lists open questions and issues that remain unresolved by the agreement and have led to the failure of past reconciliation attempts. In April 2014, the ICC Office of the Prosecutor (OTP) opened a preliminary examination into the situation in Palestine to determine whether the criteria have been met to merit pursuing a formal investigation into crimes committed in and from Palestine, focusing on (1) settlement-related activities in the West Bank and East Jerusalem, in particular as they are linked to the displacement of Palestinian residents; and (2) the 2014 Gaza conflict. The article highlights that for the OPT to pursue a formal investigation, it will have to determine whether the situation in Palestine satisfies the Rome Statute’s admissibility requirements of complementarity and gravity – a determination of whether Israel is ‘unwilling or unable’ to investigate or punish the accused; and an assessment of the scale, nature, manner of commission of the alleged crimes and their impact. The article also points that the OTP signaled that it will also have to decide two thorny jurisdictional issues: the legal regime applicable to the territory of the West Bank and the legal characterization of the Gaza conflict. The parties to the conflict continue to be Israel and Palestine, with the two key political factions – Fatah and Hamas – along with multiple armed groups which can generally be categorized as being part of one of the following groups: Hamas affiliated, Fatah affiliated, Palestinian Islamic Jihad or Salafist Groups. Besides these parties, the article highlights that one group that is poised to keep growing, if not in numbers and support, certainly in publicity, is Islamic State of Iraq and the Levant – Sinai Province (ISIL-SP). ‘While this group has been a strong critic of Hamas for several years, various reports highlight that ISIL-SP has been gaining popularity, at least with a certain part of the Palestinian society, especially in the Gaza Strip’ underlines the author of the article. The Rule of Law in Armed Conflicts (RULAC) online portal provides a legal analysis of the military occupation of Palestine by Israel, notably the different forms of control exercised by Israel over the West Bank, including East Jerusalem, and the Gaza Strip; identifies the parties; and applicable international law.